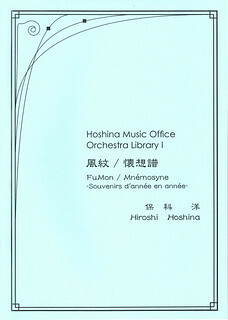 This original version was arranged for orchestra and premiered on 15th August 2009 by Takashi Akiyama and the Hoshina Academy Chamber Orchestra “Ensemble = Harmonia.” The word “FuMon” means “wind ripple” in Japanese. 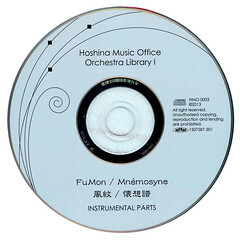 Like most of Hoshina’s works, this piece was not composed as a program piece, and it was not intended to evoke a specific image throughout, so it was difficult to name the piece. The title was finally chosen when the composer opened a Japanese dictionary and happened upon these beautiful Chinese characters.